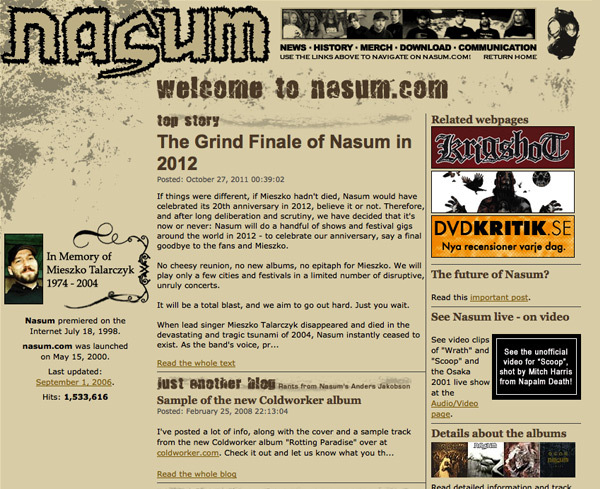 "Nasum best describes a phenomenon of what happened to Grindcore in the 2000's; the genre was thrown in head first into the depths and heights of the musical world we had no idea existed before hand, it is safe to say that the world of Grindcore; was thought to be flat before these Swedish iconoclasts brought back with them a raw noise from the perceived edge, and forged it to be the music of Nasum."  May 26, 14:16: Happy birthday, Inhale/Exhale! 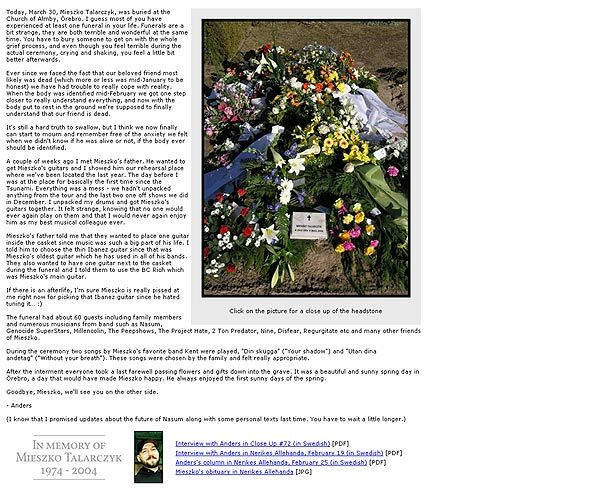 Let's celebrate big! 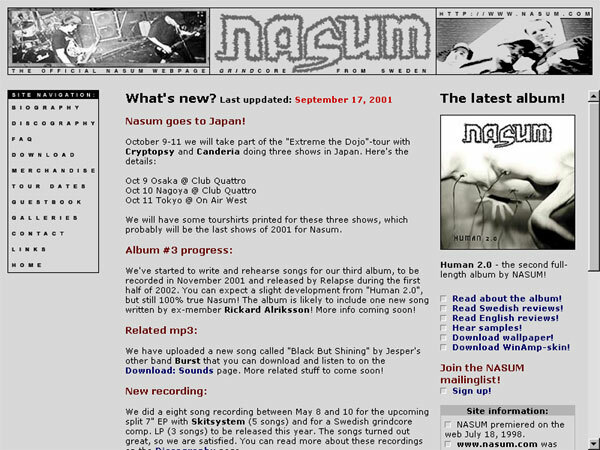  November 24, 10:51: Related stuff - and more - on the merch page! 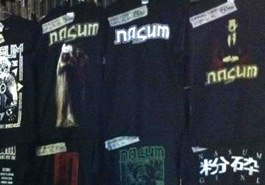 TOUR BLOG: The Nasum shop is open! 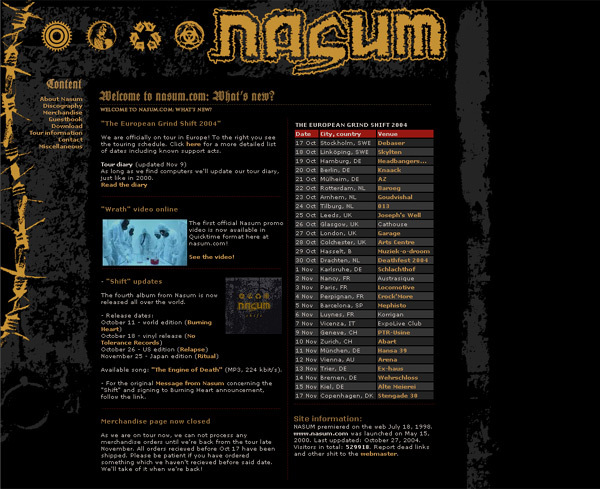 The complete biography of Nasum covering the entire history of the band, from 1992 to 2012. 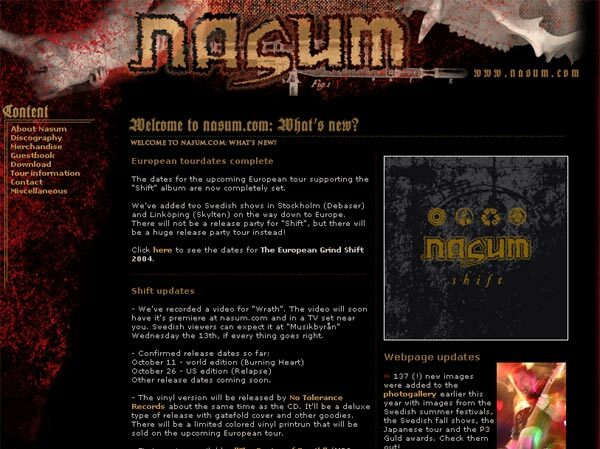 The definite guide to the Nasum discography with photos, information and comments. 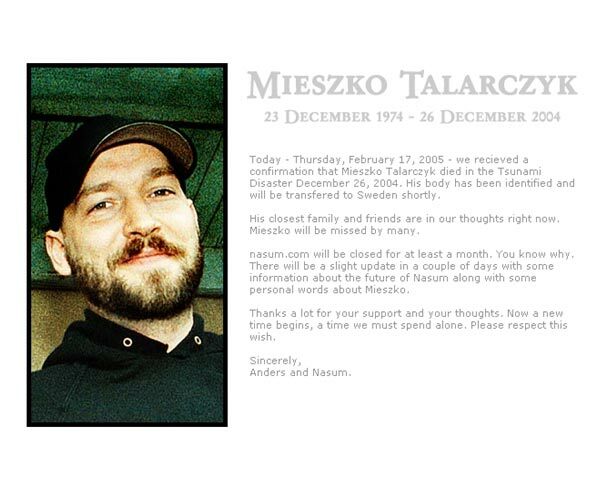 Nasum remembers former lead singer, guitarist, song writer and producer Mieszko A. Talarczyk. 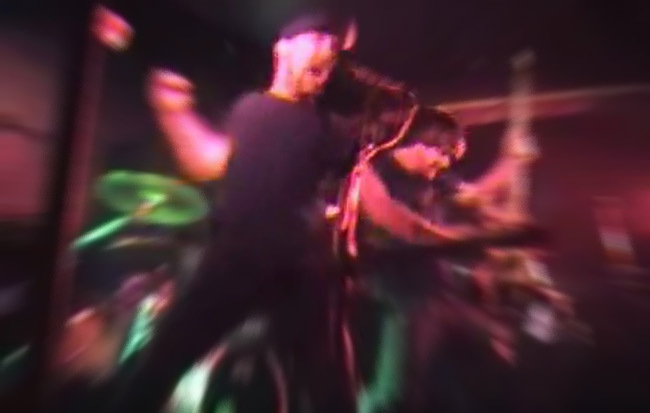 A complete run down of all shows from the first one in 1995 to the final appearences in 2012. 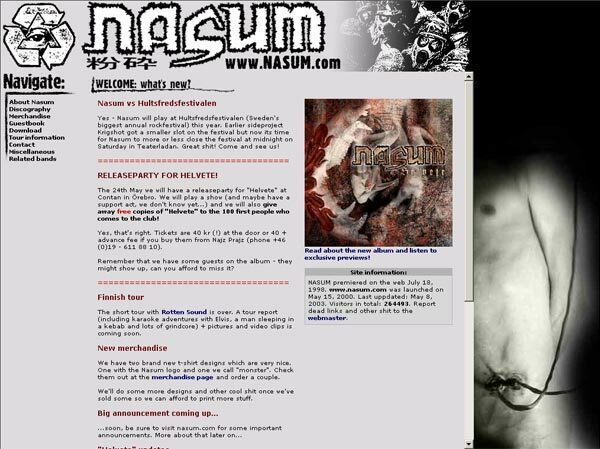 Visit the Nasum shop and find merchandise and stuff from related bands! 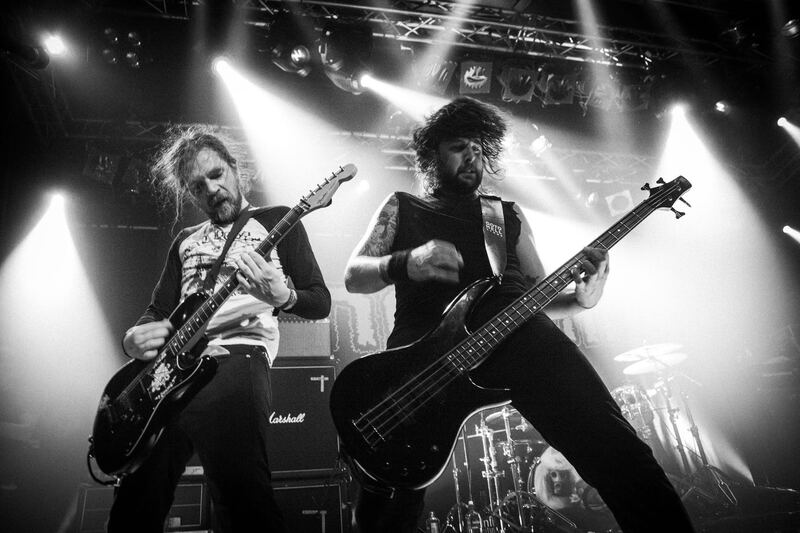  To the merch page!